Are you sick and tired seeing an incredibly high student loan balance? Does it feel like you are on a hamster wheel, making practically no progress on your debts while working your tail off? Have you been wishing to slash that interest rate? Alright everyone, welcome back, this is Dave Denniston. So glad you’re here with me today. Thank you for sharing your time, your energy, and being here with us on the Podcast! Well, I wanted to bring up something that comes up quite often. As a matter of fact, one of the things that I do is I like to survey my audiences. What are some of the most pressing issues on your minds? One of the things we’ve been focusing on a few episodes of the Podcast on was reimbursements. And then… as we continued, more data came in on the survey. In the survey, the #1 topic for physicians- no matter their age (which surprised me! )- was debt, re-financing debt, how to get rid of student debt. So far, there’s been an awful lot of episodes dedicated towards debt forgiveness- like PSLF. In addition, I brought in companies like: LinkCapital, SoFi, and DRB on the Podcast. I wanted to take this episode today to compare, contrast, and tell ya about what companies may be best for your situation. Do I currently see it changing? How you can best shop that out? As a matter of fact, as I talk with more physicians, I see a lot of them struggling with their student debts. They are struggling to try and balance all of it. You’ve got to get rid of your debt! But, what if you’re not going to go for PSLF? What if you’re not going for loan forgiveness? The great news is that you can refinance your loans! However, the company you pick sometimes depends on your stage in life! 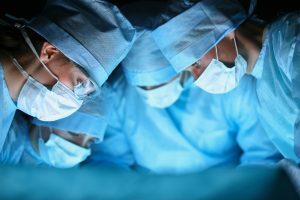 Companies like LinkCapital, DRB, and a brand new player GradSchoolLoans.com- they will refinance your debts while you’re in residency. Now, I will tell you those rates are higher than when you are practicing as a physician. I’m seeing right now as we’re recording this episode towards the beginning of June, middle of 2016 that those companies are having around a 5% to 5 ½% interest rate. So, I’m a little disappointed by that. Why not do DRB? Why not go with Linked Capital? Why not go with GradSchoolLoans.com? On $250,000.00 pile of student loans… that’s the equivalent of $2,500.00 at least a year in interest. Think about that- that’s $200 a month you’re saving yourself by lowering your interest rate TODAY while in residency. You must! What’s nice about these companies is that your minimum payments are small while in residency. I think DRB’s is around a $100.00 a month. LinkCapital is around $100.00 a month. GradSchoolLoans.com is doing it for like a dollar a month. What if rates are still low when you come out of residency? The awesome news is that there are no prepayment penalties for refinancing with another company in the student loan world (or even refinancing within the existing company & asking them to take another look at it). On top of that, there is NO COST for getting your money refinanced to start out with. This is different than a mortgage, a car loan. Some of those companies want your money and your loan soooooo badly- so much so that they REALLY REALLY want to collect that interest, and they will give you a penalty if you get it refinanced somewhere else or possibly paid off from your own checking account sooner. Luckily, this is NOT the case with the student loan refinancing companies that we are talking about. DRB is an actual bank. Darian Rowaton Bank. So, they typically hold on to the loans. In comparison, LinkCapital and Grad School Loans are funded by VCs, venture capital, private equity, & angel money. So, they are in the game of turning around and making a quick buck for their investment. More than likely, they are going to sell your loans to someone else. I’m not really sure that this matters because luckily, you maintain the servicer- the people you send the bill to typically WON’T change. Also, when you do a fixed loan, it is fixed. It’s not like they are suddenly going to have the ability to jack up the rate on you. Basically, at the end of the day guys. It’s all about who gives you the best rate. Who will give you 5%? Who will give you 5 ½%? It doesn’t matter! Go for the one who will give you the lowest rate. One of the components of credit score is how often has your credit been pulled? If it has been pulled multiple times- think 5, 6, 7, 8, or 9 times- then yes, it could hurt your credit score. However, if you keep it to 3, you’ll be fine. Most of these companies do a “soft” credit pull which should have barely any effect on your credit score. Now, let’s say you’re already in practice. This list gets bigger! There are quite a few companies that would happily take over your student loans from the Federal government. 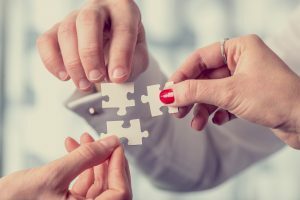 DRB and LinkCapital are certainly still in the mix. But there’s also SoFi, CommonBond, Earnest, and many more. From my experience lately, SoFi and CommonBond tend to be the best two individual companies that I see for physicians in practice. SoFi has been on the verge of going public. They have been backed by venture capital in the past. However, they are growing bigger and bigger and bigger and are becoming a bank. They are doing mortgages, car loans, and personal loans and some other bank like products. Don’t be surprised to see them create savings accounts and money markets soon. By luring you in with great rates for student loans, they know they can offer you other products and other stuff. 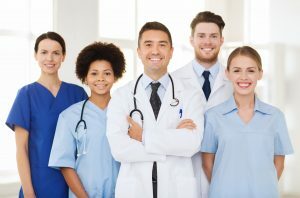 I personally believe that they are trying to attract as many physicians as possible now and to look good to the public markets before their IPO. Also, in this same spirit I’m pretty sure that SoFi is now KEEPING most of their physician student loans. They are no longer selling them as often. This does make things pretty seemless. In comparison, CommonBond is much much smaller. However, they are also backed by VCs. They mirror LinkCapital pretty closely, but they don’t deal with residents. Anywho… I’ve seen a few cases now where both of them, SoFi & CommonBond, are going to be neck and neck, at about 4%, 4 ¼% interest rates. Heck, now you’re talkin’ about 2%, 2 ½ % maybe, 3% that you’re saving yourself on your student loans. Let’s take our earlier example when we’re talking $250,000.00 in student loan debt. We’re talking $5,000 a year! Maybe $7,500.00 a year that you’re saving by refinancing with one of those companies. You can finally get ahead on one of these gosh darn things! Wouldn’t it be cool, if there was a company that was like Orbitz where you could shop out with all of these different companies at once? You have to go one off to EACH of these individual websites and submit your info. You have to submit your social security number, your date of birth, your driver’s license, your this and your that and your this and your that TO EACH of these sites. Yet, to save a dollar, I’m game for their annoyances for clients. That kind of reminds me of Southwest. Southwest doesn’t put their fares on Orbitz or Expedia, or those other travel websites. You have to go, to their website and get a quote. Can’t they just put it all in one dog-gone place?? Well, there’s a new website, I just found out about called, “Credible.” C-r-e-d-i-b-l-e dot com. (www.credible.com) where you can shop out your loans there. As a matter of fact. GradSchoolLoans.com pointed that out to me. So, www.credible.com, you can shop out amongst seven to eight different companies. (NOTE: Most of the companies we’ve referred to so far- SoFi, DRB, etc are NOT currently on that site. There you can see if they will refinance your loans if you are already a resident, whether you are in practice. So, maybe you could even get a better rate. To be honest? I haven’t been on there yet, with a client. So, I’m looking forward to doing that for the first time. So, first let me know your experiences. If you want to do it together, awesome! I’d love to see how that goes and compares to the one-offs. Anyhow, there’s a whole bunch of resources. I’ve done a whole bunch of different Podcasts, for most of these companies, whether it’s – SoFi or DRB or Link Capital. GradSchoolLoans.com and Common Bond are probably going to be found in a future shows. So, I will link all of those in the show notes. Are you considering PLSF? Are you considering refinancing your loans? What does that look like? How are you making those decisions? And what can I do to help provide you with the kind of scenarios to help you understand which loan is better for you? Which path is better for you? And remember my friends, slash your debt, slash your taxes, live a liberated life style! 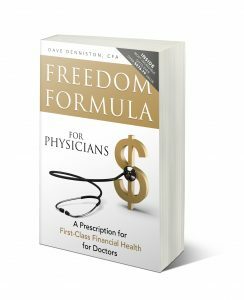 For the Freedom Formula for Physicians Podcast, this is Dave Denniston thank you so much for joining me. Check in again soon. Hey, this is Dave Denniston, and I hope you liked today’s episode! If you did, and you want some more ideas on achieving financial freedom. If you are someone who hasn’t really taken the time to take the approaches that we are talking about here in the Podcast and you want to crack the code, if you want to hit the sweet spot financially. Through the end of August. I am taking a handful of people and doing a diagnostics strategy session for each of them individually. This is where I personally take a look at your finances. I give you some high level ideas on what we can work with you on and things that can help you hit the sweet spot financially. When you are interested in applying, you can email me at dave@daviddeniston.com or the website at www.doctorfreedompodcast.com/coaching. Don’t let this Podcast be like other ones, where you hear other great information. You get some great new ideas. But you never actually complete anything. If you’re sick and tired of doing that, it is time to get on one of these calls with me and get yourself financially to the next level. To apply, email me – dave@daviddenniston.com or visit – www.doctorfreedompodcast.com/coaching.